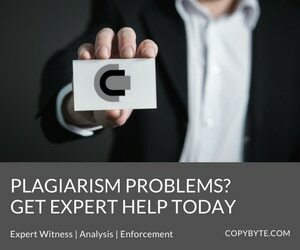 Misconceptions about copyright law, including what it is and how it works, are plentiful on the Web. With little public education on copyright law and even less serious discussion about it, people’s imagination and ignorance seem to fill the gap between knowledge and reality. What this means, however, is that people often don’t know where to turn for solid advice about what their rights are when dealing with copyright law online. This puts people in danger of either ignoring rights that they have or trying to take advantage of rights that don’t exist. Either way, a world of hurt is what follows. That’s why, before the discussion about online plagiarism can continue, we must first discuss copyright law itself and what our rights on the Internet are. Because, without knowing where the line is drawn, we don’t know when we can start the fight.